Sitting Dog sits in the corner of this fine bone china mug. A lovely clean and simple illustration of a faithful, friendly dog. 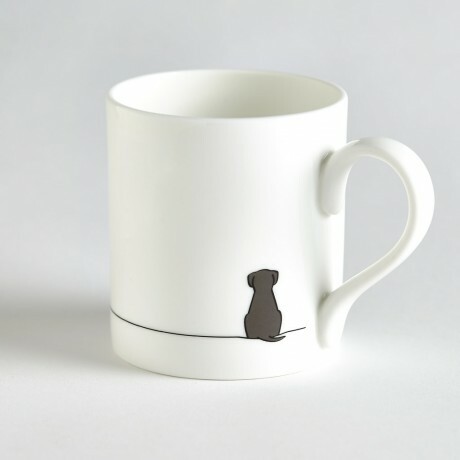 Sitting Dog is a dark brown colour with a black outline and there's a line that follows the base of the mug. 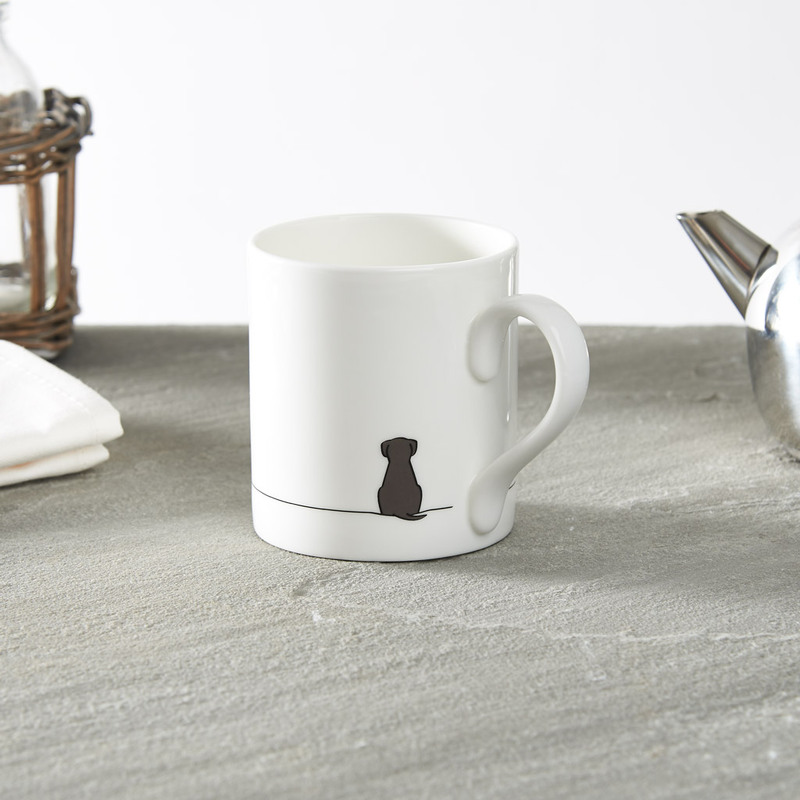 It's a unique style which is is perfect for dog lovers who appreciate good, quality design. 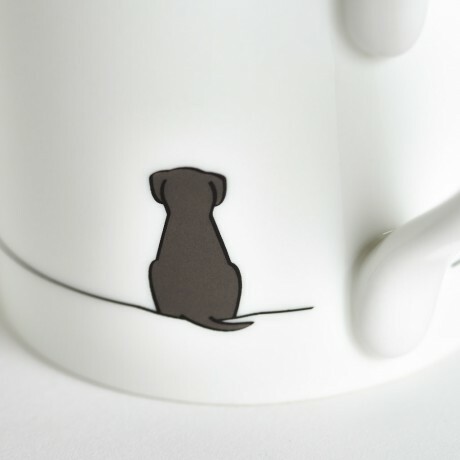 The design is based on no particular breed, allowing you to decide who you want Sitting Dog to be. The mug has been traditionally hand-decorated in Stoke-on-Trent. It will take up to 275ml (9.3fl oz) of your preferred beverage and is 82mm high (3.22 inches). 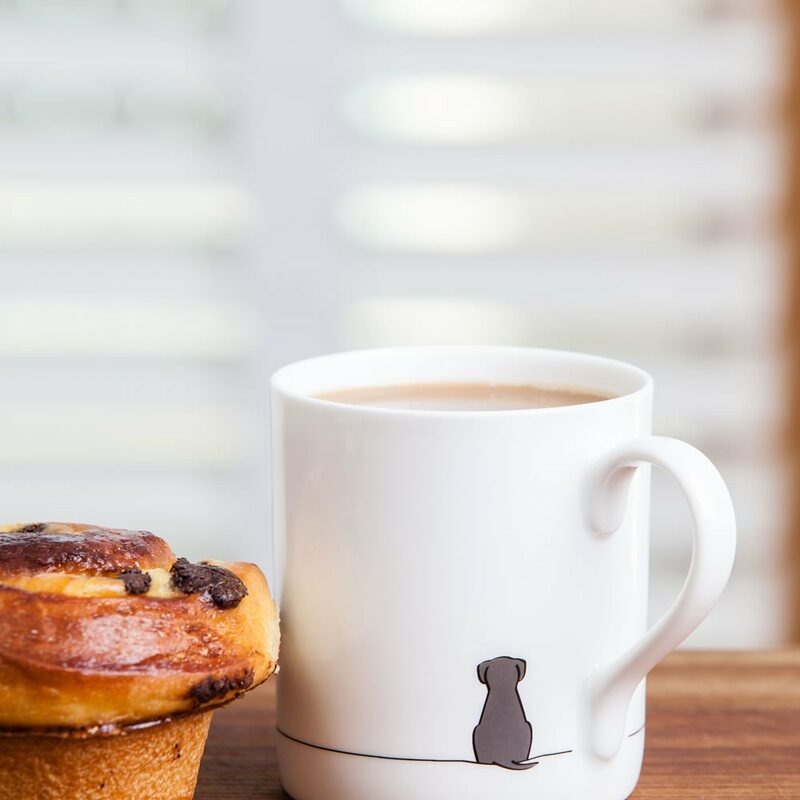 The fine bone china mug is dishwasher safe. To maintain appearance wash at a lower temperature or hand wash.